Light City Baltimore, America's first large-scale festival of light, music and innovation, was conceptualized and co-founded by Brooke Hall and Justin Allen of What Works Studio. The week-long annual festival takes place March 28 - April 3, 2016 and consists of a 1.5 mile BGE Light Art Walk, over 100 free concerts and performances, and a series of innovation conferences. The festival was developed to be a city-wide collaboration and a tool for economic development, civic engagement and tourism. 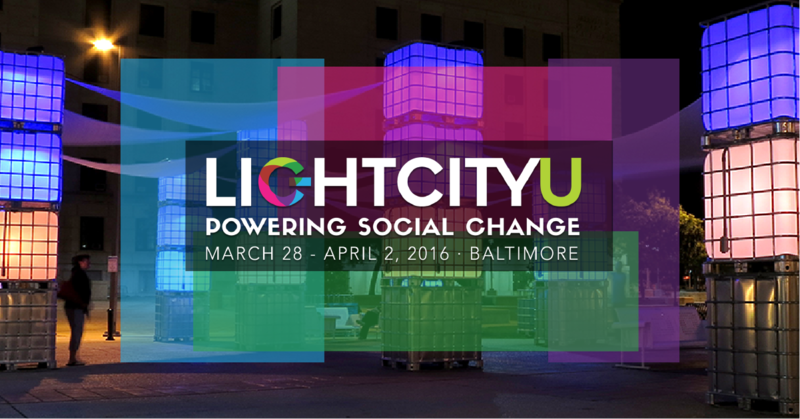 Tickets for conferences are limited, so REGISTER TODAY at lightcity.org/lcu. 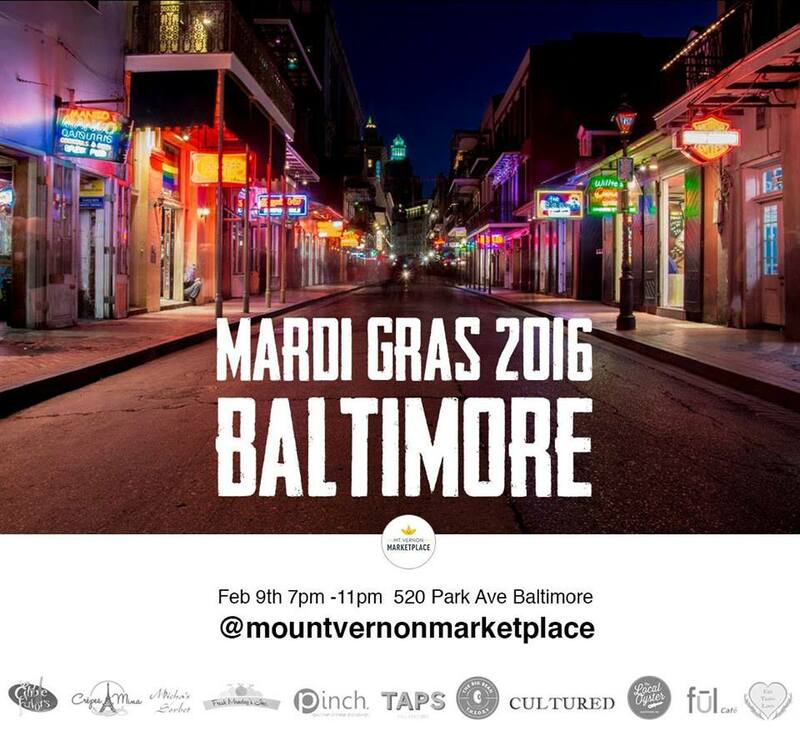 Fat Tuesday at Mount Vernon Marketplace! Live FREE JAZZ by Big Bertha's Rhythm Kings, Craw Fish Boil @ The Local Oyster. Come in wearing your best masquerade mask and win prizes from the amazing vendors! 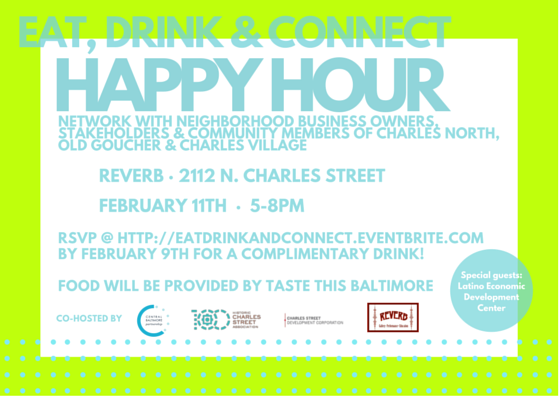 RSVP for a complimentary drink! 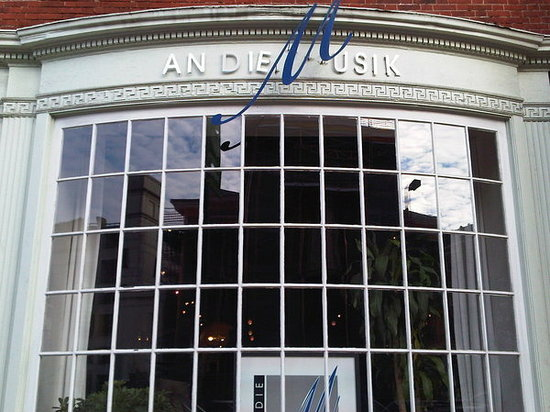 Don't miss the great upcoming shows this month at An Die Musik! 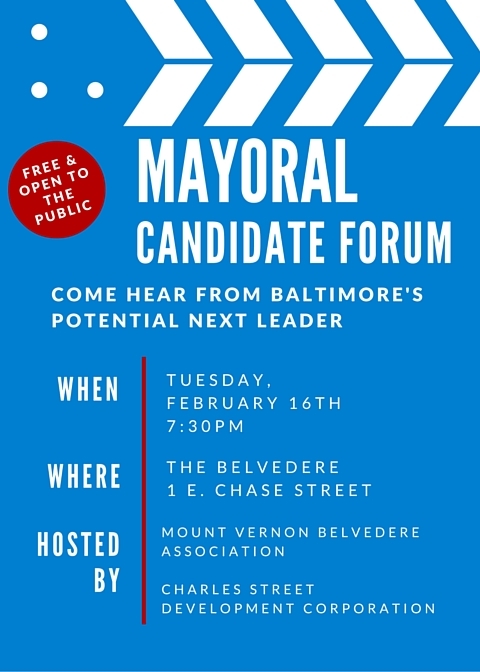 Check the calendar here!